Clean, contemporary and oh-so-stylish; the Tiki Square Patio Umbrella will have you comfortable outdoors in no time! Our new 6.5ft squared Tiki Patio Umbrella is contemporary and light with a Sunbrella® canopy, it fits into any space modern or traditional because of its simple, chic design. This gorgeous Taupe Sunbrella® Umbrella looks wonderful at home or in a more commercial setting. Set up your patio with a Round Pedestal Table surrounded by Black Tango Chairs and top off the look with a Tiki Square Patio Umbrella for a sturdy but still modern look! If you have a large pool area, why not get 4 Taupe Tiki Sunbrella® Umbrellas lined up each with one or two Palm Sunbeds beneath them, dressed with a matching Taupe Sunbrella® cushion, and complete with an Azura Table for your book, sunscreen and cold glass of something! 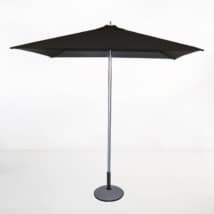 The Tiki Patio Umbrella is great for a small patio as well, easy to pop up or take down, it makes the world of difference in a smaller space where an umbrella is only needed some of the time! They are light enough to travel with as well! Being a shorter pole and a compact piece of furniture, they can easily fit into the trunk of your car, for taking on holidays or even a family picnic! 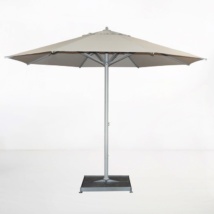 Whatever you choose; this amazing umbrella will be an integral part of your outdoor furniture collection! 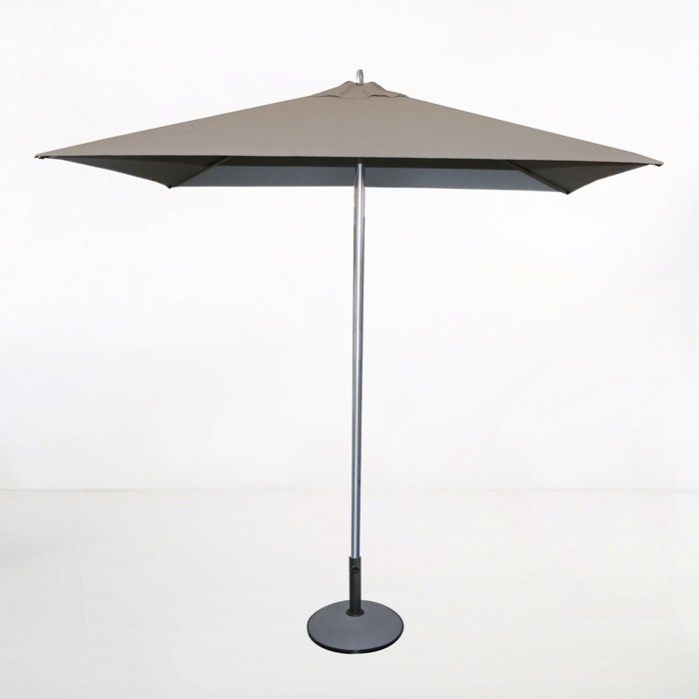 The Tiki Patio Sunbrella® Umbrella has an easy light pulley system and an Aluminum frame.The colors available are black, white, taupe and grey.